Here we go with the greens again! What has gotten into me? I got this beautiful color in a swap from one of my readers named Amanda. Thank you so much! This one had been on my wishlist for awhile. This is one of my firsts Misa polishes, so I was excited. Toxic Seduction is a deep rich blue-toned green with intense lighter green shimmer. Splendid! Toxic Seduction is just that...seductive. This is a "top polishes of all time" type of polish. It is a must have. In fact, go grab yourself a bottle. It's in the Poinsoned Passion collection. 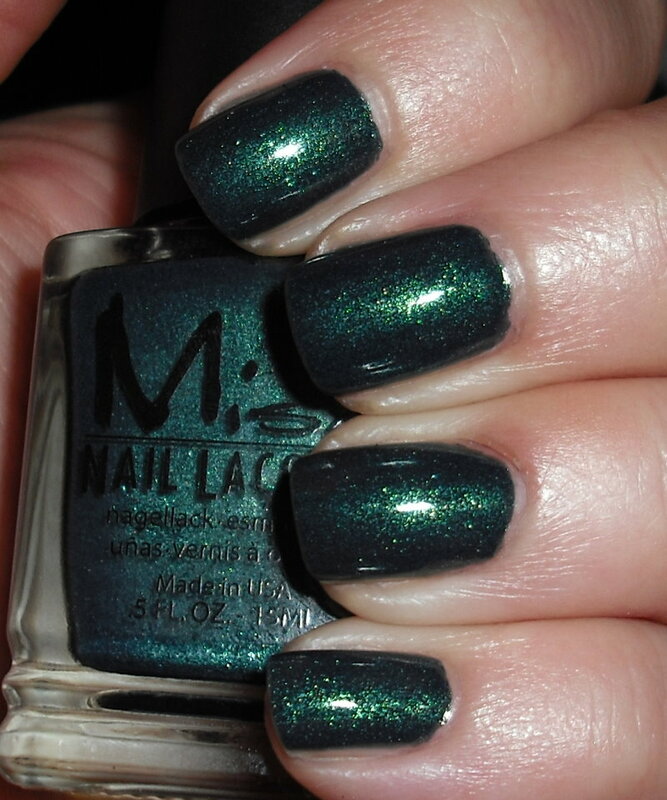 I'm definitely going to be shopping Misa polishes after seeing this beauty. Thank you again to Amanda! *drooling* This is stunning! I don't know why I haven't tried this one yet...moving it to the top of the list! Oh this is such a lovely polish! And it looks great on you :). Gorgeous! I have a couple of Misas, but haven't worn them yet! This is a gorgeous green! I think you need to start wearing them more and more...they look good on you. That is so pretty! I love green polishes and this is one of the prettiest I've seen! You made my day with this polish. Thank you so much! I know, I wish you could find them in a store somewhere. At least they are really affordable! Thanks! It's taking a lot for me right now to not go and shop for Misas now.